Accountant also known as the financial expert is primarily involved in preparing and examining financial records. They make sure that the financial related records are accurate with organization complying with tax regulations. Accountant performs the overview of the financial operations of a business or organization in order to help it run in effective and efficient manner. An accountant can work in different domains or industries to which they are aligned to and can also act as financial consultants on a wide range of financial matters. 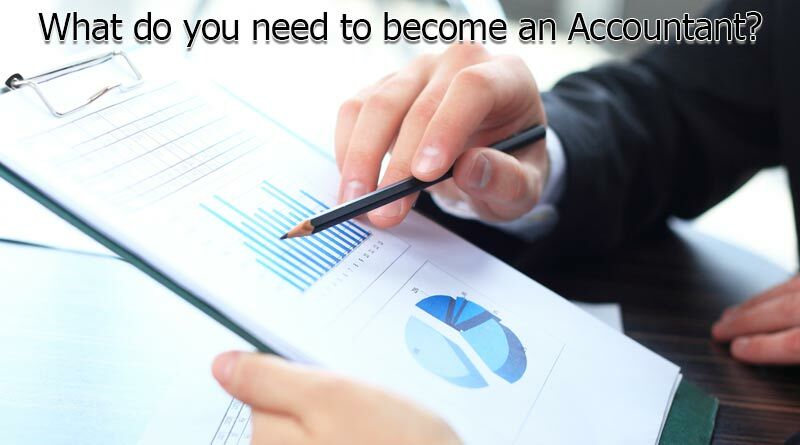 How to get started as an Accountant? Earning a bachelor’s degree in accounting or related field is considered the minimum education requirement for those planning to start off as an Accountant. You can also do an advanced course in finance that helps you to excel in the longer run. You can either work as freelance or full-time resource depending on your requirements and preferences. Individuals working as the freelancer can also work as tax consultants to perform finance related matters related to any organization. What are the essential skills required as an Accountant? To sum up things, accountant profile revolves around numbers and financial statements. They play a crucial role and evaluate the health of a company or organization to which they are aligned. If you aspire to get to a senior level position one day, such as CFO or a partner in a firm then developing interpersonal skills and having the ability to develop strong networks early on will be essential to your success. You would also need PG or equivalent courses in Finance. The tasks performed by an accountant are much more diverse and challenging than people think.